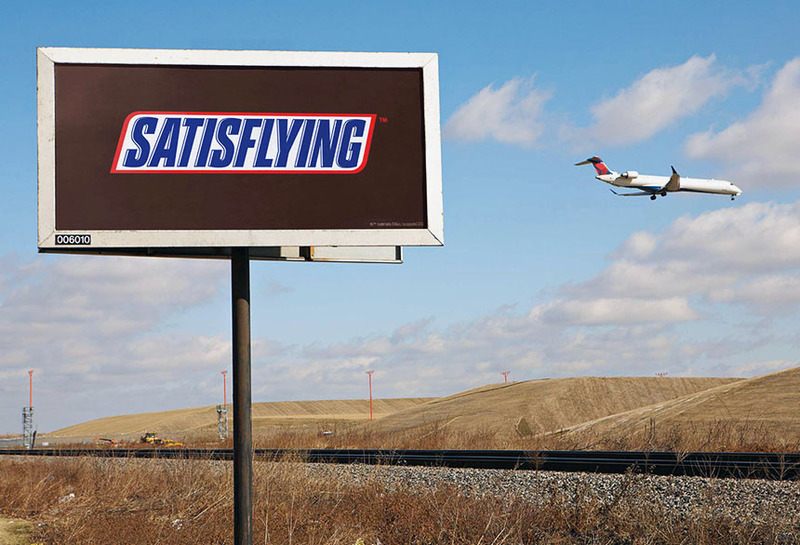 Snickers ran a product marketing campaign using Lamar poster billboards. This creative was situated on a road next to an airport which is why their play on words was both amusing and applicable. It therefore successfully caught the attention of passing cars.